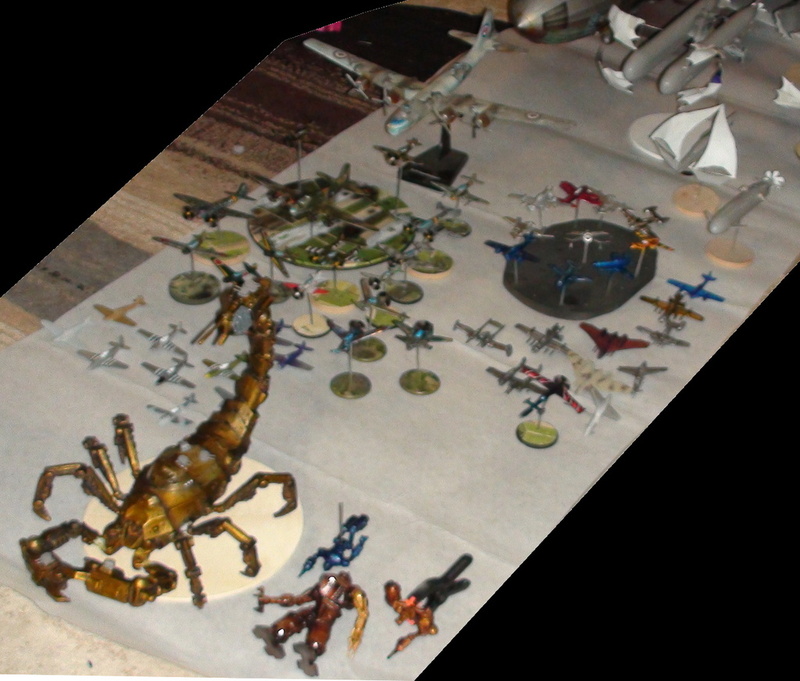 I started working on this project when I got some fighters from Iron Wind Miniatures for the Crimson Skies game. I later found some 1/200 scale ww2 fighters and painted a few of those, then got the bright idea to modify a large zep as a pulp carrier airship. Recently I realized some of the inspiration for a bunch of airships and Japanese spaceships a while ago were old submarines. So I decided to take it a step further and use some ww2 subs for large sail based airships with pulp ww2 tech. such as cannons and turboprops. And for some big ground forces to counter the tech of a large airship, such as a large mechs and scorpions. 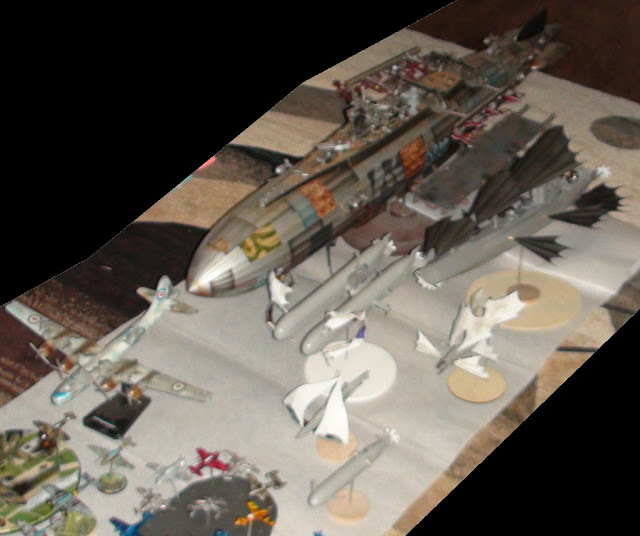 On the left is largely ww2 fighters and bombers, on the right is crimson skies fighters. center has a few experimental fighters. Front center is a large mech scorpion with a few mech buddies. Top left is the carrier zep, top right is a pirate cruiser, pirate frigate, luxury yacht, fuel/hydrogen tanker, and switchblade littoral intercept craft. Jagged bets on the front of the pirate ships and the interceptor are to cut sails. Main principle is that while props and turboprops work great, they cost fuel and make noise, sails greatly extend the range of an airship.